The designer began building a plug for a Flicka of his own, but circumstances forced its sale to Nor'star Marine, CA, USA, before completion. 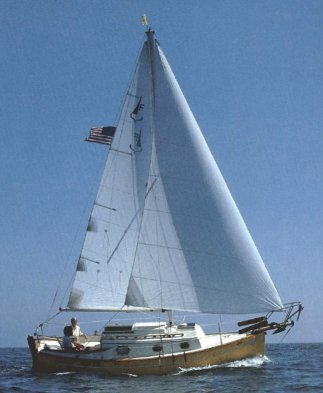 By 1975, Nor'star was building Flicka's, either as owner-finished kits, or boats completed under contract by Westerly Marine of Cosa Mesa. In 1977 Nor'star ceased production. In 1978 Pacific Seacraft bought the tooling and built it's version until 1998. Over the years other Flicka's have been built from varying materials. Decks, interiors and rigs can differ widely.